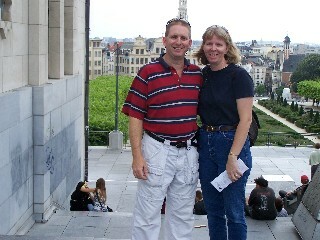 For our first day trip after our arrival, we drove to the center of Brussels for the afternoon. After a crazy drive and a long search for a parking spot, we left the car behind and went for a long walk to see the sights. 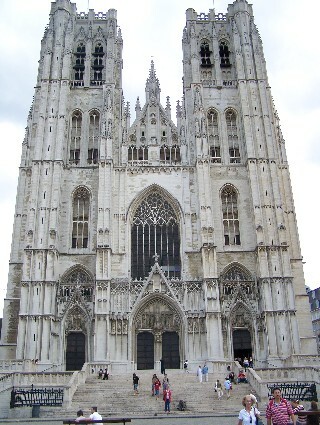 Our first stop was at Cathedrale Sts Michel et Gudule - otherwise known as St. Michel's Cathedral. What an impressive building! We walked around both outside and inside and were amazed by the stained glass and statues. 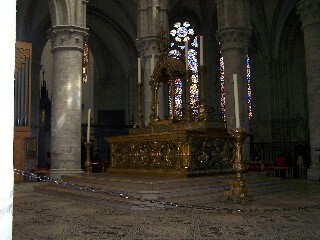 You can see a picture of the altar and the front of the church. 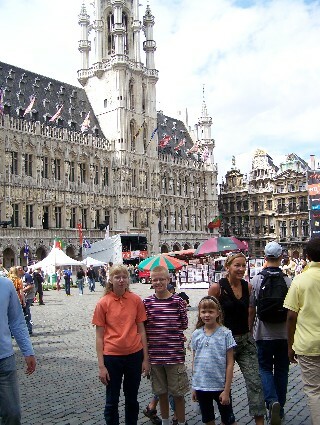 We continued on until we reached the Grand Place - the historic marketplace dating back to nearly the beginning of Brussels. 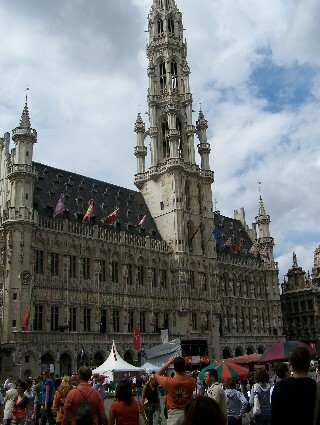 The building with the spire is the Hotel de Ville and it is the town hall of Brussels - it was built in the late 14th /early15th century. The other building are across the Place from the Hotel de Ville and are the Maison du Roi and Le Pigeon - these buildings used to house markets, but are now museums. 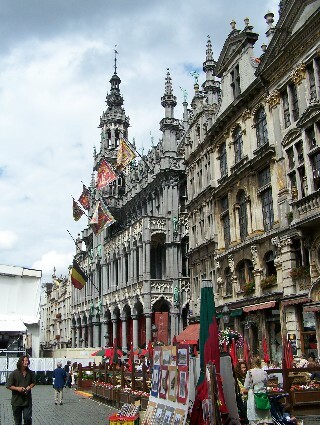 They were built in the 1700's following designs approved by the town council and in the Flemish Renaissance style. 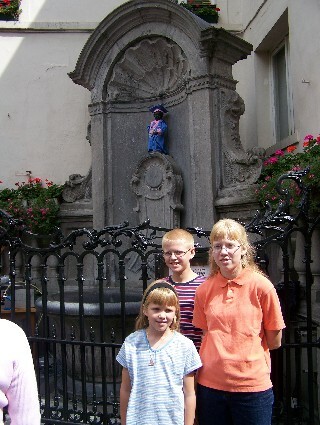 Don't the kids look happy to be here?! 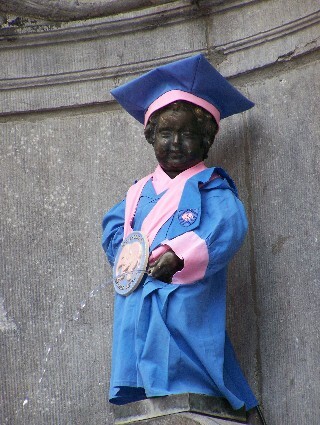 The kids were begging to see the Manneken Pis - a little statue of a boy urinating... It's apparently quite the landmark and is always very busy being looked at. It also has nearly 700 costumes that have been given to it by leaders of other nations - they are housed in a museum nearby and he is changed in and out of them regularly. We learned that he always wears his ISB football uniform on Homecoming Weekend! 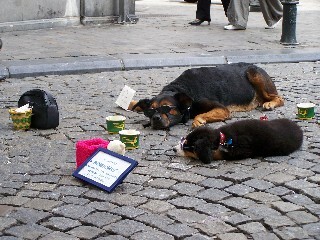 On the way to see him we saw these beggars on the street - aren't they cute!? That is the street they are laying on - they are all cobblestone in this older part of town. Sonya and Curt enjoy the visit - you can see the spire of the Hotel de Ville coming out of the top of Curt's head... Good photo arrangement by our teenage photographer?? ?